Step 1 Place the mirin in a small saute pan and heat over very low heat. Ignite it with a fire starter or long match and flambe to burn off the alcohol. Let it cool slightly. Step 2 Combine the mirin, vinegar, lemon juice and soy sauce in a small bowl and set aside. In Recipes-list.com we have selected the most viewed recipes from category - Appetizers Fish and shellfish Quick and easy . Enjoy the best recipes specially selected for you! 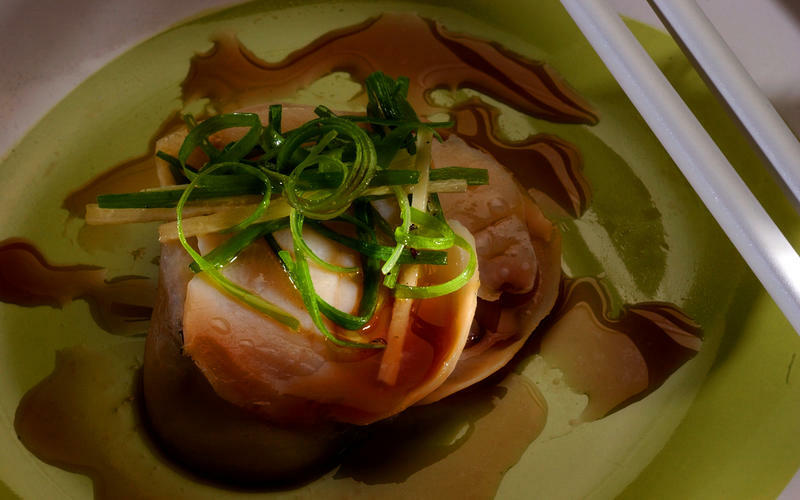 Abalone carpaccio with scallions, ginger and ponzu is the right choice that will satisfy all your claims.